Conrad Residences and Condo Hotel units are now for sale in Fort Lauderdale. 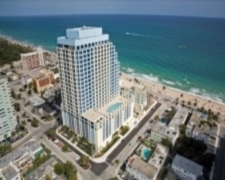 The new luxury Conrad Hotel Condos and Residences are located on A1A across the street from Fort Lauderdale's pristine beach. 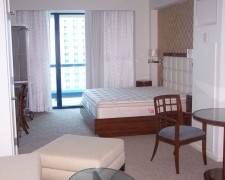 The Conrad Residences and Condos consist of two distinct buildings known as the East Building, which has 11 guest units and The Tower, which houses the main lobby, bar and lounge, check-in desks, enclosed car parking and 279 residence and condo units. The two buildings are separated by a beautifully landscaped circular drive that will serve guests of the Conrad restaurant and the Hotel. The Buildings will also be linked together with a large meeting area creating a Bar and Restaurant on the top of the East building with spectacular ocean views. Owner use of the Condos will be limited to 60 days in season and 60 days out of season and no restrictions on the residences. All parking will be by Valet. Embrace bold new concepts in the Conrad Residences and condos of Fort Lauderdale, where absolute convenience meets the height of comfort in the Conrad Fort Lauderdale. Appreciate an uncommon dedication to the pursuit of impeccable service, and a world shaped to fit your lifestyle. Discover for yourself why discerning individuals choose the luxury of Conrad Residences as their home. The new owners are spending 35 million to bring the building up to Conrad standards and add some facilities. 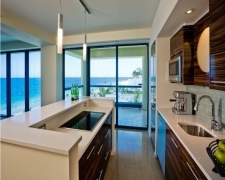 Rooms are complete with kitchens, including SubZero refrigerators and Wolf Cooktops. Kitchen cabinetry is made of Macasser Ebony topped with Quartz countertops. 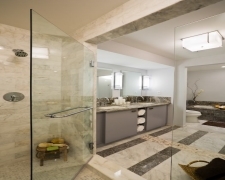 Bathrooms feature the finest stone selections and all Kohler fixtures with Waterworks fittings. Flooring includes high quality travertine marble and custom carpeting designed by Michael Graves Architect (MGA). All room furniture was custom designed by MGA. – Studios – The 143 studios are among 8 different layouts and range in size from 479 square feet to 655 square feet. These units all offer one full bathroom with two sinks and a marble bathtub. Some studios offer private terraces with ocean views. – One Bedroom – There are 89 one bedrooms among 10 different layouts and range from 680 square feet to 1,296 square feet. 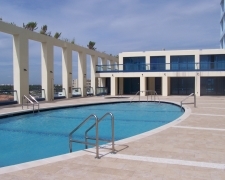 These units all offer 1.5 bathrooms and walk-in closets along with other standard room amenities. These units also offer private terraces. One of the one bedroom units is a Townhouse. – Two Bedroom – There are 54 two bedroom units among 18 different layouts and range from 997 square feet to 1,712 square feet. These units offer 2.0 to 2.5 bathrooms with walk-in closets, a kitchen, and a den. These units also offer private terraces with ocean views. One of the two bedroom units is considered a Penthouse Suite, and two of the two bedroom units are Townhouses. – Three Bedroom – There are 3 three bedroom units among 3 different layouts and range from 1,592 square feet to 2,365 square feet. These units offer 3.0 to 3.5 bathrooms with walk-in closets, a kitchen, and a den. These units also offer private terraces with ocean views. One of the three bedroom units is considered a Penthouse Suite. 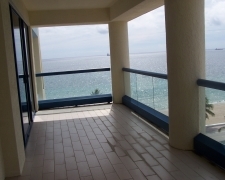 – Four Bedroom – There is 1 four bedroom unit, which is approximately 4,055 square feet. This unit, considered a Penthouse Suite, offers 3 bathrooms, walk-in closet, full gourmet kitchen, den, and a private terrace.